Rabbit anti human mitofilin antibody recognizes mitochondrial inner membrane protein, also known as MICOS complex subunit MIC60, cell proliferation-inducing protein 52, or proliferation-inducing gene 4. This antibody has been extensively validated for western blotting using whole cell lysates. Rabbit anti Human mitofilin antibody recognizes the mitofilin, also known as MICOS complex subunit MIC60, cell proliferation-inducing gene 4/52 protein and mitochondrial inner membrane organizing system 2. 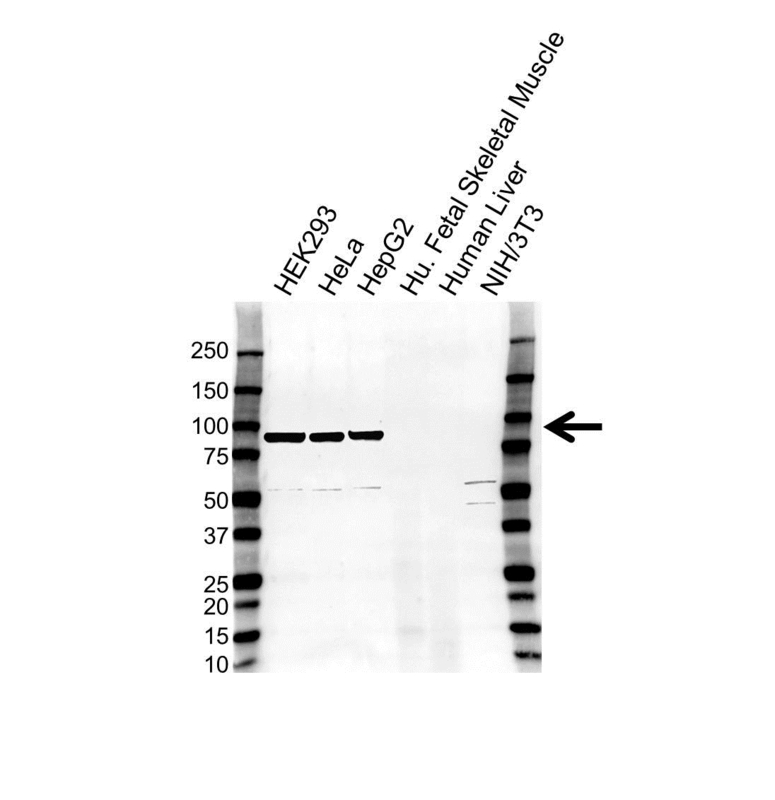 Rabbit anti Human mitofilin antibody detects a band of 84 kDa. The antibody has been extensively validated for western blotting using whole cell lysates.